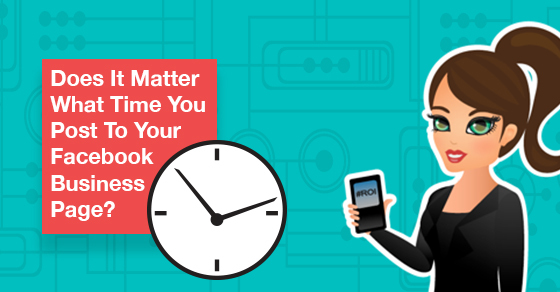 Does It Matter What Time You Post To Your Business Facebook Page? If your Facebook happy friends have a great meal and didn’t post about it, DID IT ACTUALLY HAPPEN?????? Well you might never know the answer. BUT! Here is something I do know: Facebook gets to decide if what you are posting is “engaging” enough for your fans and even friends to get to see. It seems that less than 10% of your fans will see your post and depending on if those less than 10% of people like, comment, or share it determines if Facebook will begin to show it to more people. Yes they start small and start opening up the floodgates if your post gets engaged with. Why am I telling you all this? Well because the answer to the question I posed initially can help you get engaged!!!! Wouldn’t you like to get engaged with? Wait that’s a tricky question. Don’t answer that. Here is a trick I learned that helped me get engagement for my clients. Here inside of your business page there is an insights button. This button has tons of information about the people who have already liked your page. It tells you about who they are: male, female, ages etc. It also tells you what time of day they are on Facebook typically. For most of my clients I have their page updated 1,2, or 3 times a day. I pick about 5 minutes before the spike of viewership. This gives you a slight advantage in having more people see and then engage with your post. If you post at 1 am and only 1 or 2 people are available to view it, Facebook will gather that it wasn’t very engaging and slow or cease showing it. On the other hand, if you are posting at the times that most of your fans are on, then more people will get to see it. Now this is not the end of the story. What if you are posting at the perfect 2 times every single day for a month and you are not getting likes, comments, or shares? It is time to take a look at what it is you are posting. Is it something that your fans care about? Are you asking them to engage with it? It needs to be relevant to the people that do or would be doing business with you. What else do people who do business with me care about? Post about that or even easier, share an article that's relavant to your fans or prospects. Yeah its a little off the subject but it is more genuine to share weather update if you are a roofing company than saying hey buy some shingles from me! What questions do people ask you when they are considering doing business with you? Can you post about your city? Can you post about what is going on in your industry? There are so many ways to show you care as a business. You will get noticed for that, it’s a “social” thing to do. So when you are using social media for your business, don’t act like a stiff shirt. Check the times of day your fans are on. Then give them something they can use. I help your organization reach your goals using Social Media and Internet Marketing. 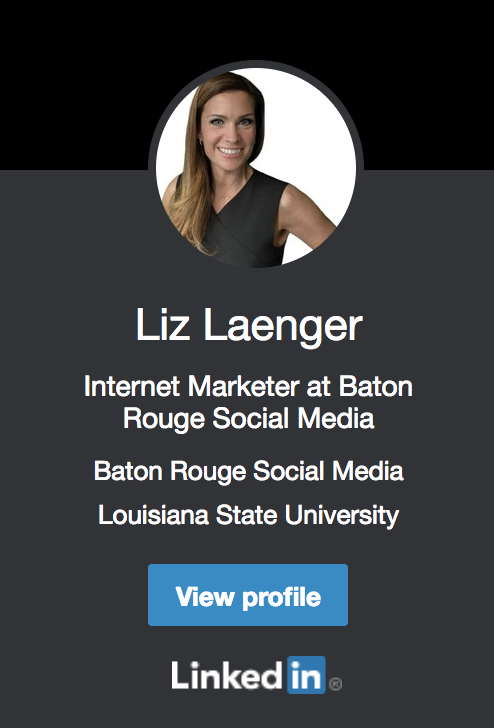 I serve Baton Rouge, Louisiana area clients with multiple techniques my agency offers including email marketing, Social Media, SEO, many forms of retargeting etc. I am having so much fun on Snapchat. Join me! Make a screenshot and addd me. 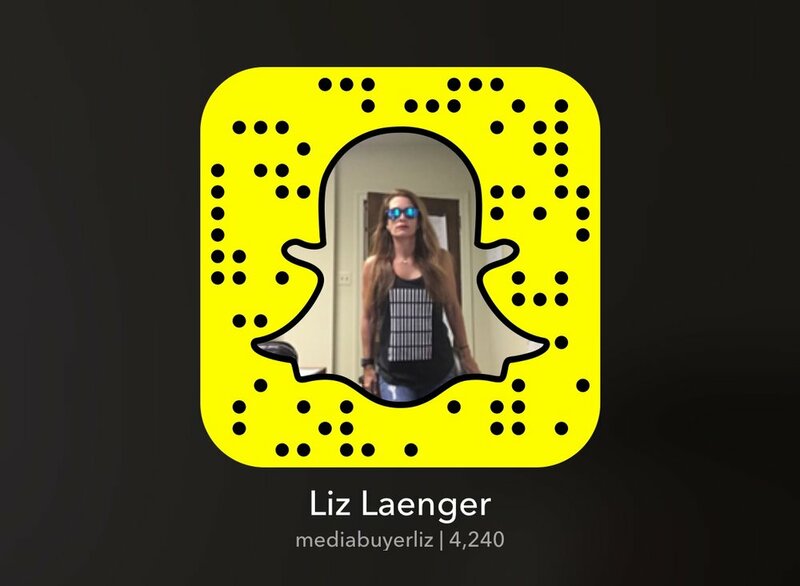 Read here what Will Ferrell taught me about making Facebook ads (my < less than 15 minutes of fame).